Much of the emphasized benefits of a Virtual Machine is geared to service providers and hosts, but what benefits are there from the client perspective? Cloud computing is all the rage these days, and rightly so. Gone are the days where small businesses needed to outlay tens of thousands of dollars in hardware, licensing, and service – to setup a new “in-house” server. Then the client had to worry about a proper cooling environment, sufficient power, and a stable internet connection. With the benefits of a virtual machine, small businesses can now have their virtual servers hosted by a service provider without any hardware outlay. The host takes care of maintaining all hardware, and all the trappings that need to sustain a healthy hardware environment. The cost savings is also a huge benefit to the client. By the time a virtual machine monthly hosting cost would have reached the initial hardware outlay – the client would be at the point where they would need to upgrade their in-house server hardware anyway. Meanwhile the environment where the hosted virtual servers are kept, is constantly being upgraded and maintained by the host with no added cost to the client. 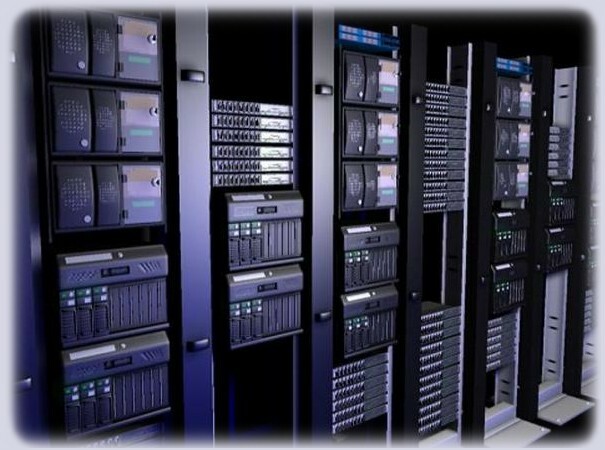 Accessibility to a hosted virtual servers at a good data center is also vastly improved through higher internet speeds. In all cases, client internet connection speeds cannot come close to the high speeds that data centers enjoy. Data integrity is improved; since hosts use more costly enterprise class storage systems to protect valuable client hosted servers. In the past, in-house client servers may not have been secured properly, leaving equipment prone to theft. In a data center, often many layers of security clearances must be passed before access to a hosted system is allowed. Including 24 hour security, and advanced surveillance systems. To find out more if your business can benefit a hosted virtual machine please feel free to email us at: info@shadik.com.